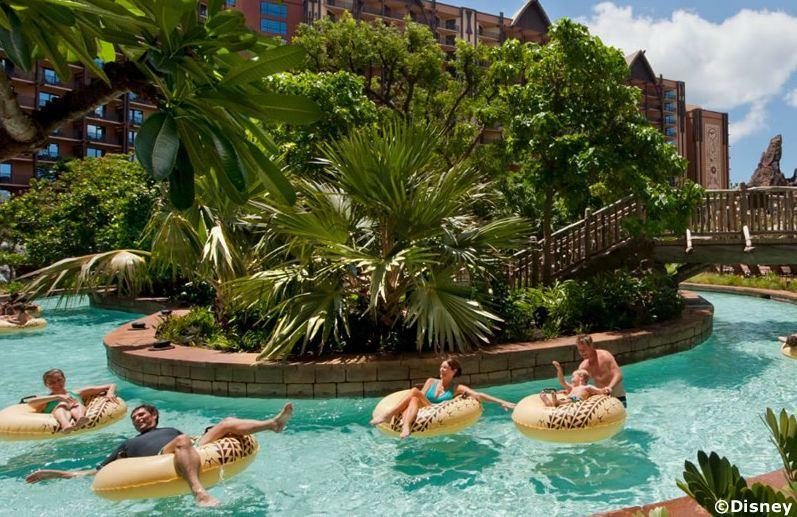 Welcome to Aulani, A Disney Resort & Spa - a family paradise with a touch of magic where everyone can enjoy amazing adventures, both together and on their own. Adults, teens and kids each have their own special places here. 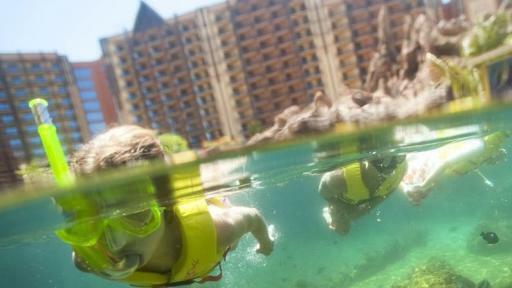 And there's plenty of family fun, too. 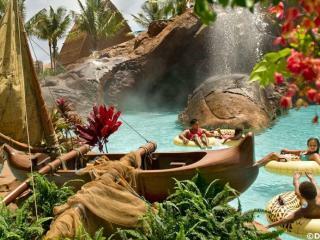 Spend the day at the greatest pools in all of Hawai'i. Stroll down to the secluded cove for a day at the beach. 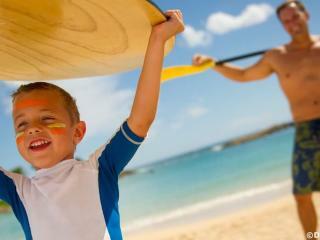 Or do some exploring with guided excursions and activities. Then, enjoy an evening of incredible dining and spectacular entertainment. 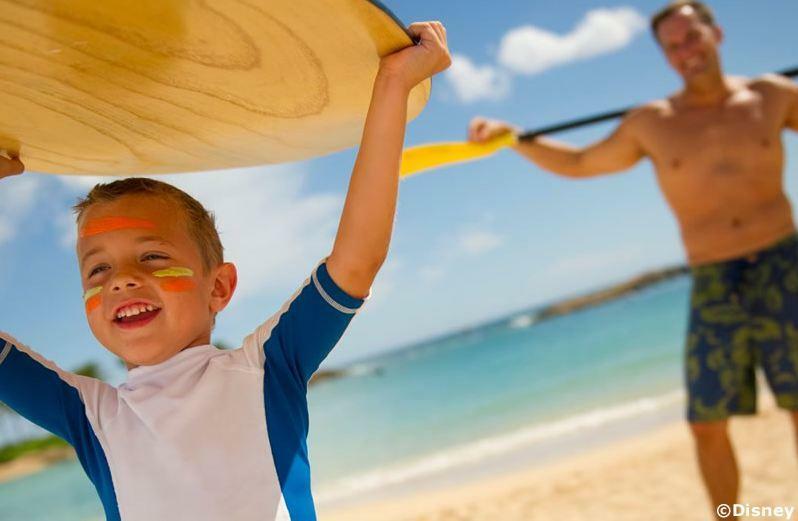 Aulani is part of the Ko Olina Resort Community & Marina, which features spectacular beaches, a championship golf course, shopping, snorkeling, sports fishing and more. 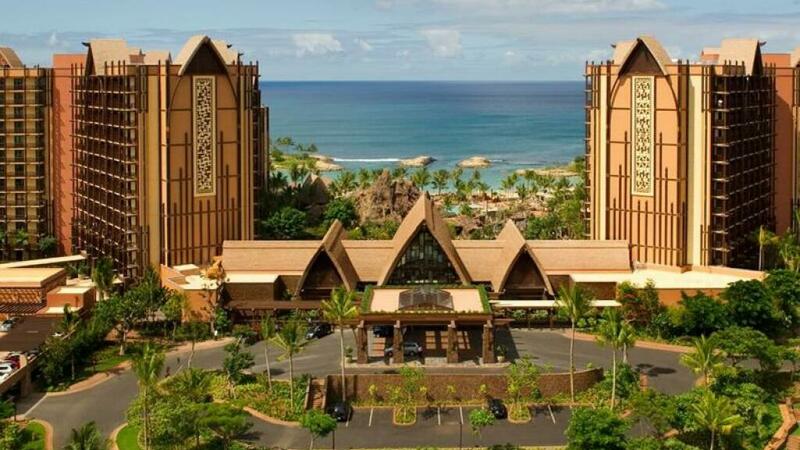 Located on the western shore of O'ahu about 17 miles from the Honolulu International Airport in Hawai'i, Aulani rests on 21 acres of beachfront property far enough away from the crowds but close enough to enjoy all the wonders of O'ahu. 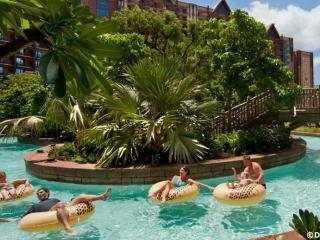 Located between the 2 towers of Aulani, Waikolohe Valley pool area is brimming with family fun. 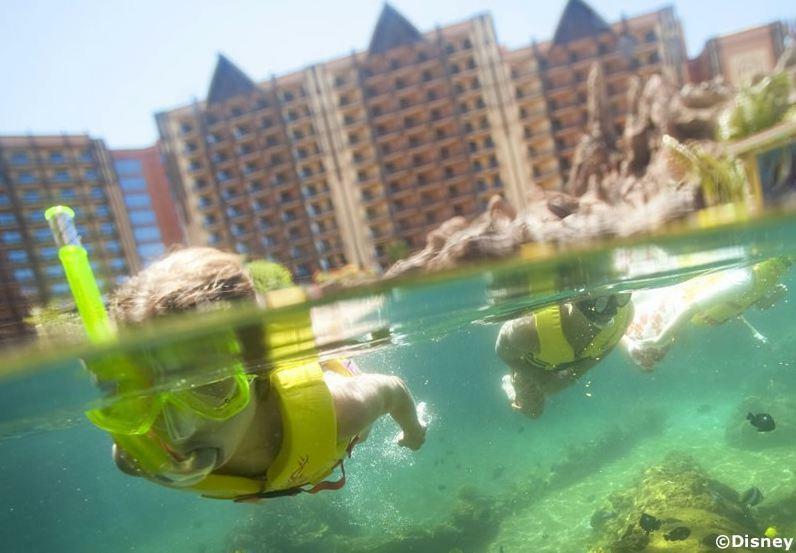 With its crystalline waters, winding streams, interactive play features and private snorkeling lagoon, this imaginative pool area offers something to delight every age and interest. Little ones will love Menehune Bridge. This interactive play area that features 3 slides, a play structure and more! In Waikolohe Stream enjoy 2 tubing adventures from atop Pu'u Kilo: one extreme, the other serene. 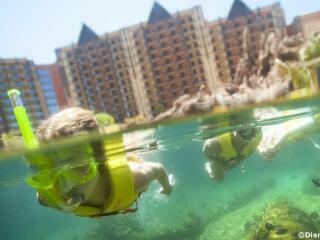 Enjoy an up-close look at aquatic life at Rainbow Reef - the only private snorkeling lagoon on O'ahu. 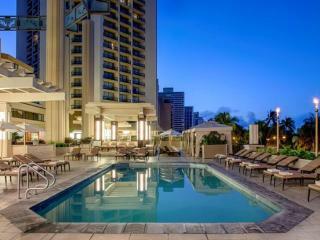 Waikolohe Pool offers refreshing fun - and exciting activities for every age and interest! Plunge down Volcanic Vertical, the tunnel body slide. 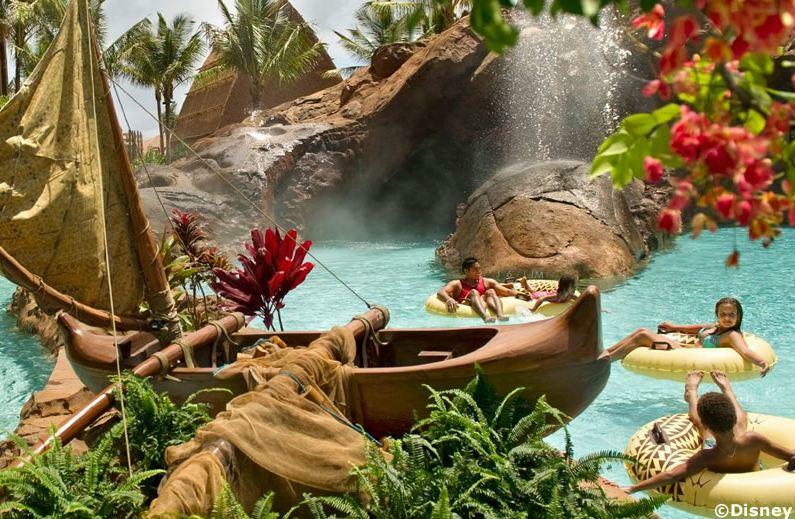 Party poolside with some favorite Disney Characters at a signature celebration. Or enjoy one of our teens-only, tweens-only or all-ages themed parties! 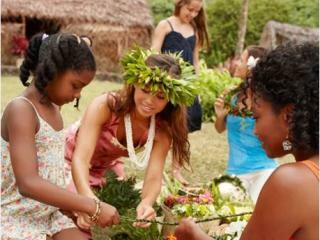 Parents can enjoy a peaceful escape while your children play at Aunty's Beach House, where younger Guests explore Hawaiian culture, art and music through complimentary activities and Premium Experiences. Four whirlpool spas promise relaxation, with 2 offering spectacular sunset views. 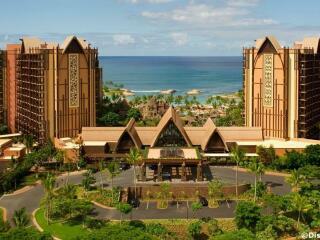 And, separated from the excitement of the main pool is Wailana Pool, offering a relaxing retreat. 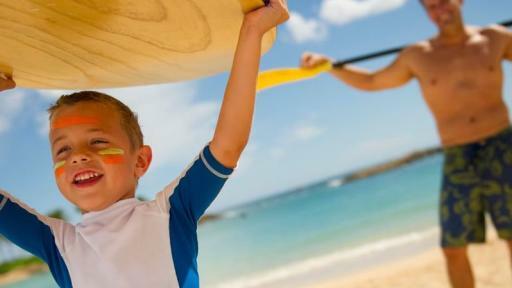 Aulani's spacious hotel rooms and suites are filled with amenities for the perfect family vacation. 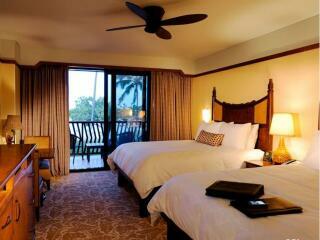 Standard Room: Room size is 36m². Bedding is 2 Queen Beds OR 1 King Bed & 1 Queen Sofa Bed. 1 Bedroom Suite: Features a separate bedroom and lounge area and additional powder room. Room size is 71m². Bedding is 1 King Bed & 1 Queen Sofa Bed. Signature 1 Bedroom Suite: Features two bathrooms, one with a whirlpool tub and rain shower. Also offers a features a fully equipped kitchen with butler pantry. Room size is 142m². Bedding is 1 King Bed & 1 Queen Bed. Signature 2 Bedroom Suite: Located on the top floor with views of the Pacfici ocean. Features three bathrooms and a fully equipped kitchen with a butlers pantry. 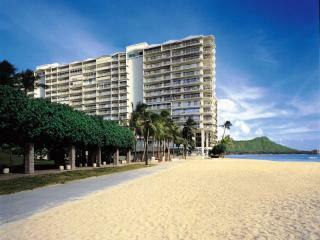 Room size is 177m². Bedding is 1 King Bed, 1 Queen Bed & 1 Queen Sofa Bed. 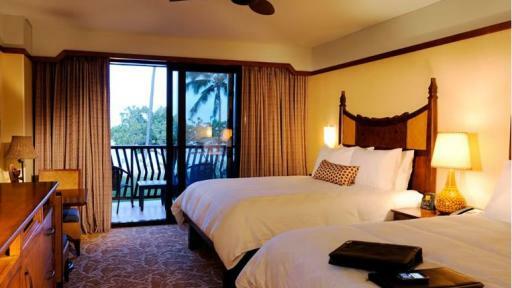 Deluxe Studio: Room size is 33m². Bedding is 1 Queen Bed & 1 Queen Sofa Bed. 1 Bedroom Villa: Features a fully equipped kitchen, washer and dryer. The bathroom offers a whirlpool bathtub and rain shower. Room size is 70m². Bedding is 1 King Bed & 1 Queen Sofa Bed. 2 Bedroom Villa: Features a fully equipped kitchen, washer and dryer. There are also two full bathrooms plus an additional powder room. Room size is 105m². Bedding is 1 King Bed, 2 Queen Beds & 1 Queen Sofa Bed. 3 Bedroom Grand Villa: Featuring multiple TVs, large private balcony, fully equipped kitchen and laundry area with washer and dryer. There are three full bathrooms. Room size is 202m². Bedding is 1 King Bed, 4 Queen Beds & 1 Queen Sofa Bed. 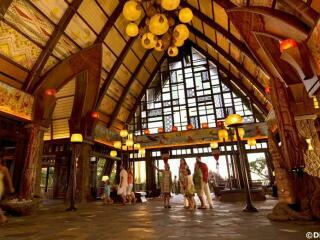 Aulani has a number of different onsite restaurant to try out while stay at the resort. 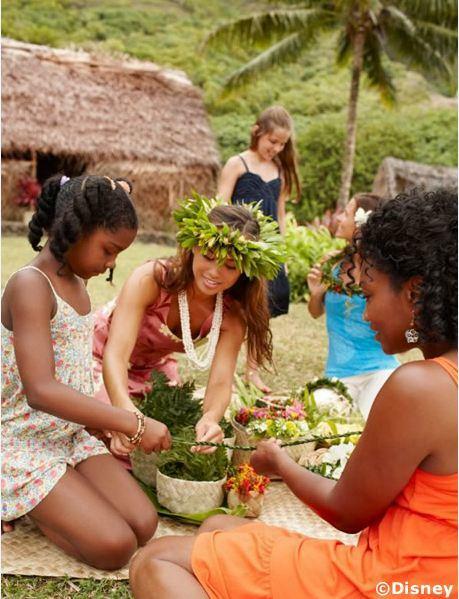 Makahiki: Offering buffets at breakfast and dinner. Enjoy a character breakfast with some of Disney's favourites on selected evenings. Ama Ama: Features contemporary island cooking, in an elegant beachside open-air restaurant. Off The Hook: This open-air, poolside lounge resembles a fisherman's seaside shack. Enjoy your favourite cocktail and Hawaiian-inspired appetizers. Ulu Cafe: Located poolside, this outlet offers fresh poke bowls, hot meals, sandwiches and snacks on the go. 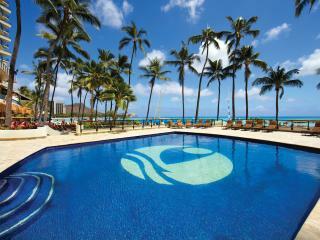 Wailana Pool Bar: Situated beside the adult's only Wailana Pool, enjoy a colourful cocktail with ocean views. Little Opihis Beachside Kiosk: Offers light meals including sandwiches, salads and other snacks. Mama's Snack Stop: Grab a quick bite on the go from Mama's including chicken tenders and fish and chips. Lava Shack: Located in the Waikolohe Valley pool area, this convenient shack offers light snacks and drinks. Papalua Shave Ice: Kids will love all the tropical flavours with refreshing shave ice. Located poolside..
Laniwai - A Disney Spa: Offers a number of massage treatments, facial treatments, couples treatments, signature therapies to choose from to leave you feeling relaxed and rejuvenated. 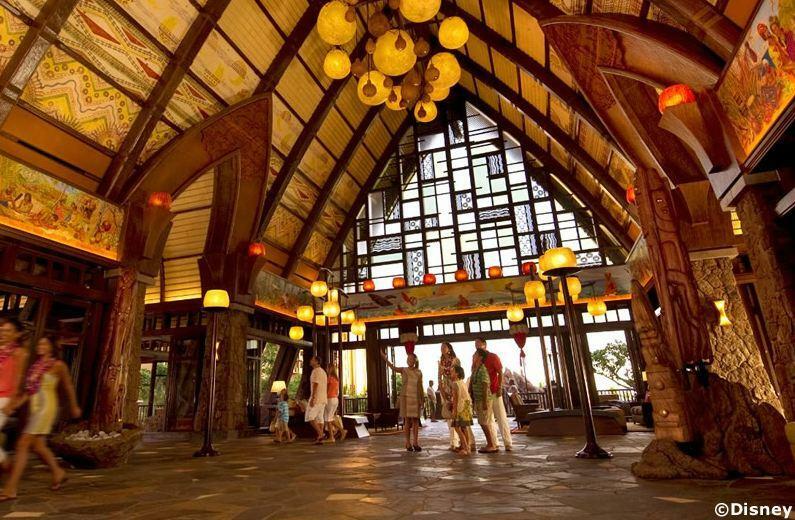 Laniwai also offers a Disney themed spa for teens so nobody misses out. 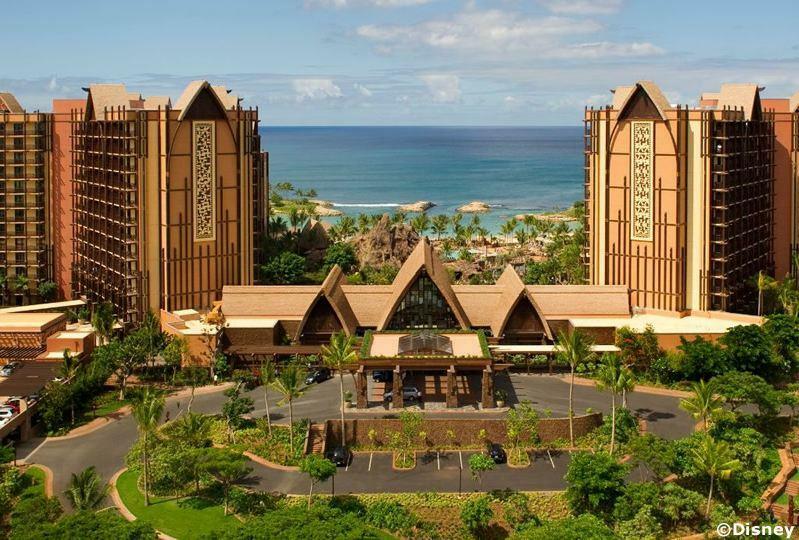 During your stay at Aulani, A Disney Resort & Spa, enjoy expansive fairways and a challenging 18-hole course at nearby Ko Olina Golf Club.